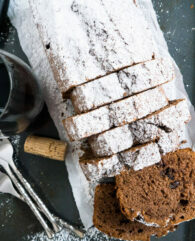 Mulled Wine Cake with Cherries is a great cake for the holidays! It’s a fluffy, moist cake which is perfect to enjoy with a cup of coffee or hot chocolate on a cold winter day. Have you tried Mulled Wine? It’s a staple at every Christmas Market in Germany and here in Munich, every district of the city has its own “Weihnachtsmarkt” (Christmas Market). 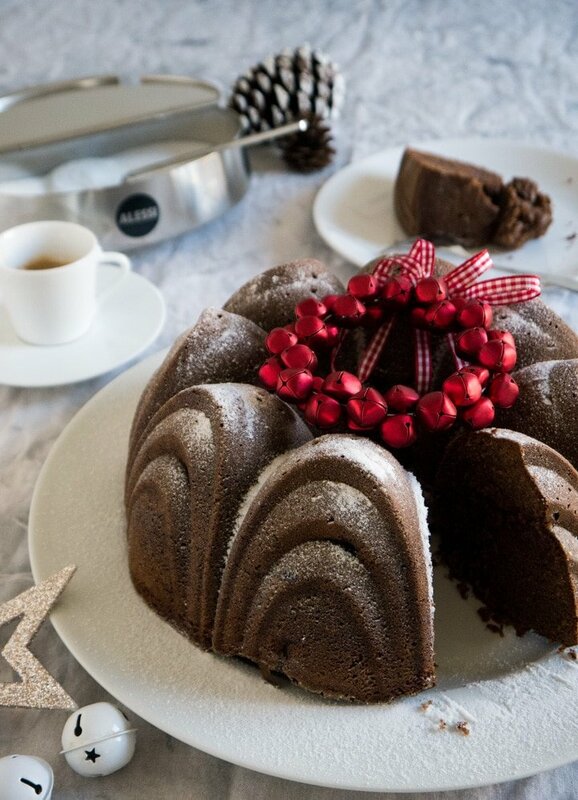 Today’s recipe is a German Mulled Wine Cake which is perfect for Christmas. But for this cake, I love to use real Mulled Wine. It tastes delicious! You won’t taste the alcohol. Don’t worry it’s perfectly safe for children and pregnant women because the alcohol vaporizes. What’s your favorite hot Christmas drink? Mine would be “Kinderpunsch”, it’s a mulled wine without wine :-) We love to visit Christmas Markets. They get you into a perfect Christmas mood! The little ones are the ones I like the most. Many small villages have markets on the weekend. They are not as commercial as the big ones and you can get handmade goods from local vendors. Often there are only a few little stands but it’s definitely worth it! Many villages have special foods and drinks like “Schneebälle” which are fried dough balls rolled in powdered sugar or spiced Apple Cider. You can also buy handmade tree decorations made out of straw or handmade gifts. 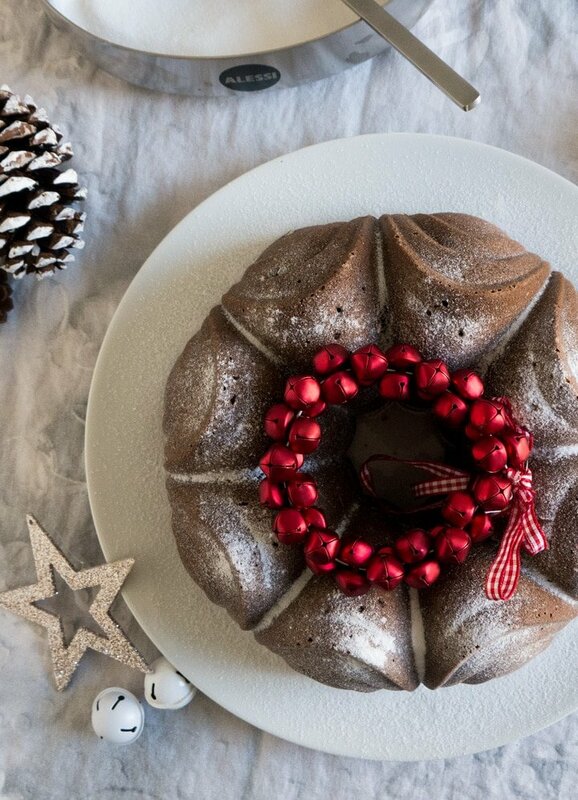 This Mulled Wine Cake gets you in the right Christmas mood! 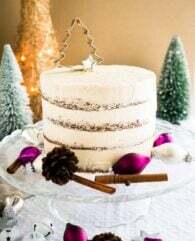 Mulled Wine Cake with Cherries is a great cake for the holidays! 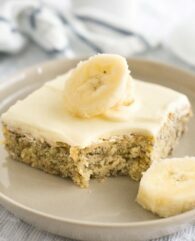 It's a fluffy, moist cake which is perfect to enjoy with a cup of coffee or hot chocolate on a cold winter day. Add the mulled wine to a saucepan and let it boil down a bit. Switch off the heat. Drain the cherries and add them to the wine. Let the cherries be infused by the mulled wine for 20 mins. Drain the cherries but collect the mulled wine. Preheat your oven to 330°F. Beat butter with sugar, vanilla, marzipan and a pinch of salt for 10 mins (I recommend using a kitchen aid) until frothy and white. Stir in the eggs individually. Set 1 tbsp of the flour aside. Mix the remaining flour with starch, cocoa, cinnamon and baking powder. Add the flour mixture, the mulled wine and the Nutella to the butter mixture. Only mix for a short time until everything is incorporated well. Mix the cherries with the remaining flour, so they don't sink too deep in the batter. Fill the batter into the prepared bundt cake pan. Distribute the cherries on the batter. Bake your cake for 1 hour. Test with a skewer if it's done and allow to cool for 10 mins on a wire rack. Carefully turn the cake out of the cake pan, let it cool down completely and sprinkle powdered sugar on top. This looks so festive! It would definitely be a great addition to my Christmas table. how large a bundt pan? How many cups? Hey Mary, I used a 9.5 inch bundt pan with 10 cups capacity. Happy Holidays! I love that there is red wine in the recipe – delicious… A must try, it would look so pretty on my Christmas day table. Such a delicious and festive looking cake. I’ve never had a German cake like this one before. As I was reading through the recipes I was surprised by some of the ingredients like the cherries and the marzipan. They all sound fabulous together! Thanks, Rachel! All the little flavours make an extra delicious cake. This looks delicious!!! I LOVE German Mulled Wine!! 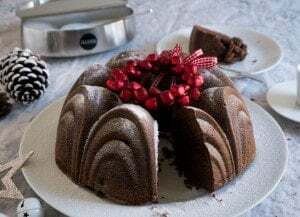 I love Bundt cakes and this German Mulled Wine sounds deliciously intriguing! Thanks, Jacqueline! I love Bundt cakes, too. That cake looks so festive! And I’m sure it’s delicious! I’ve started looking for dishes and desserts I can serve for the holidays, this is something I’ll consider in my list. What a gorgeous cake! I’ve been looking for something to serve on Christmas. I think I’ve found it! This is such a beautiful cake and I love all the flavors. I bet that mulled wine adds a nice festive touch.